OLD PARKED CARS. 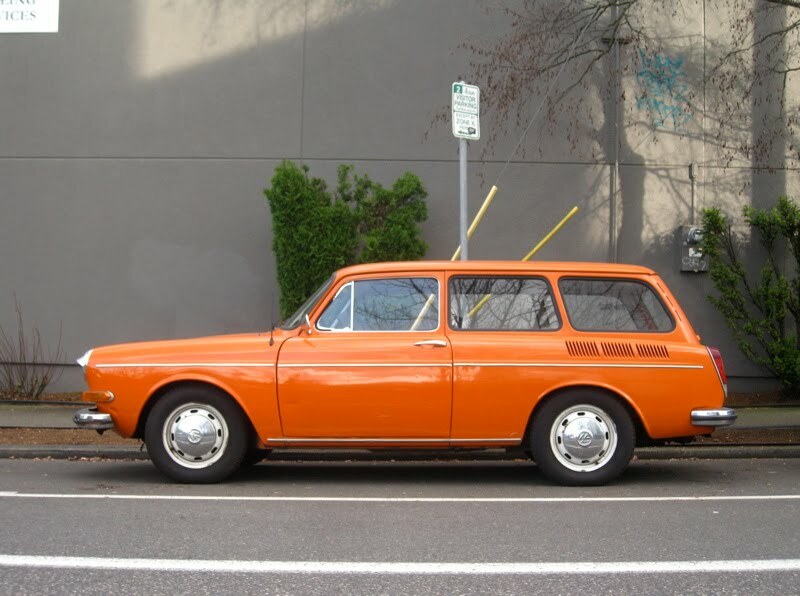 : 1970 Volkswagen 1500 Squareback Wagon. 1970 Volkswagen 1500 Squareback Wagon. Don't think I'll ever get tired of those sleepy lil' eyelids. Also that color is outstanding. That car makes me dream of summer. But actually I'm glad I don't own one, I hate the noise the old VW engines make. Ohh I love this car. 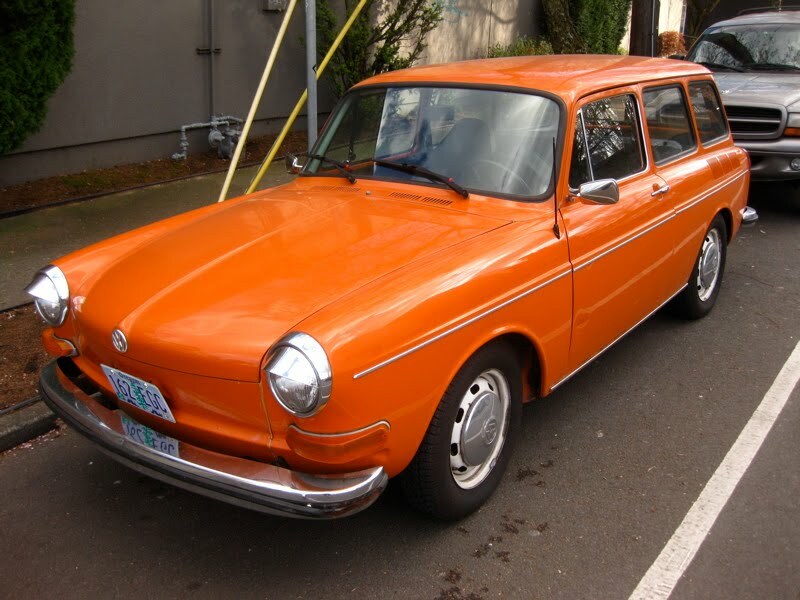 My dad has one exactly like this one, 1970 and orange! He wants to sell it now, but I dont want him to. How much is this car worth? His car is in very good shape, and the engine is good. Do you have any idea? Slight correction; all Type 3's imported to US were 1600cc and were no longer named after engine displacement. 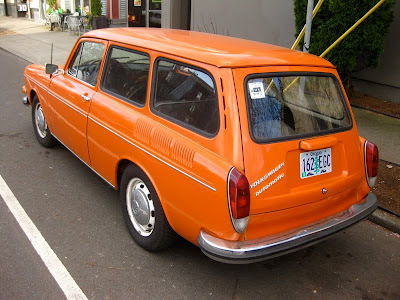 so this car is really just called "Squareback". Yep, its a beautiful car, nice design, I have one 1970 (brasilian style) and the noise of the motor is really loud, thats why im changing it for a new water motor... I very happy with the car, i like old cars. I had a 1969 Type 3, also orange, with some mangy spots on the hood. It had some problems by the time that I got it in 1987. But then again, it had 200k miles on it, and had lived in Mexico for years. The lack of back doors was a pain, especially when you wanted to jump-start it, as the battery was under the back passenger side seat. Heavy. Sat low so that it was hard to change the oil under it. Underpowered. My first car. '66 in black, a primitive beast with no heat to speak of, headlights bright as a penlight, windshield wipers ran off vacuum, fuel line routinely vibrated loose from the carb, dripping fuel onto heat exchanger, had to be push-started frequently...not a wonderful memory. But the styling still looks great and with seat down they could cart a load of stuff...when they ran.